MSI Philippines hosting a tournament at the ESGS 2016 dubbed as the MSI Sudden Death. 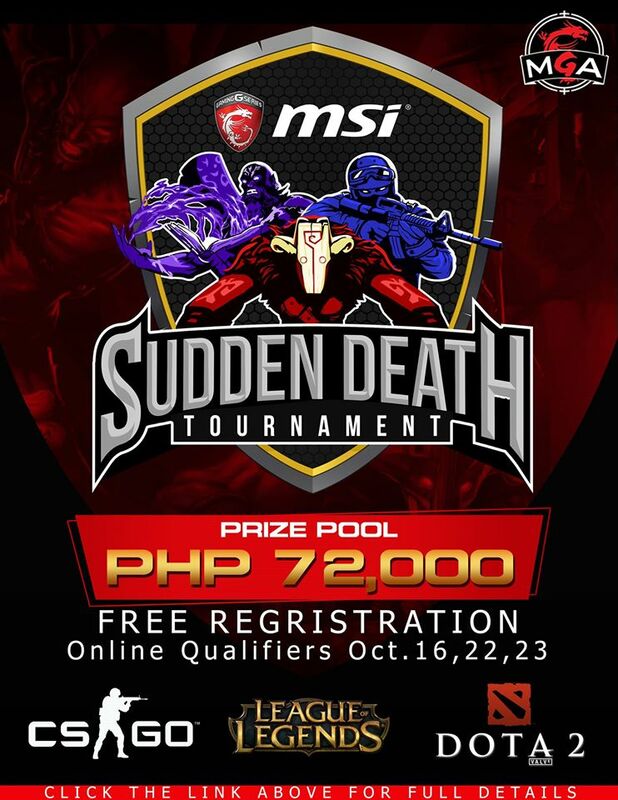 Showcased your skill and join the tournament, this is your chance to play against the top e-gamers and be the crowned 1st MSI Sudden Death Champion. PHP 72,000.00 total prize pool!